August 3, 2018 – Palmetto, GA YourTown Health is proudly celebrating its 40th anniversary of serving the communities of Meriwether, Pike, Lamar, Carroll, Coweta and South Fulton counties. On Friday, August 17th, YourTown Health is thanking the community for their years of support with Patient Appreciation Day. Every location will offer FREE health screenings between 8 a.m. and 12 noon. Walk-ins and new patients are encouraged to come and meet the staff. Plus, at 11:30 a.m., there will be a drawing for $500 worth of gift cards at each office. You do not need to be present to win. The free screenings available include BMI (body mass index), blood pressure, HIV testing, blood sugar, substance abuse/alcohol abuse and depression screenings. 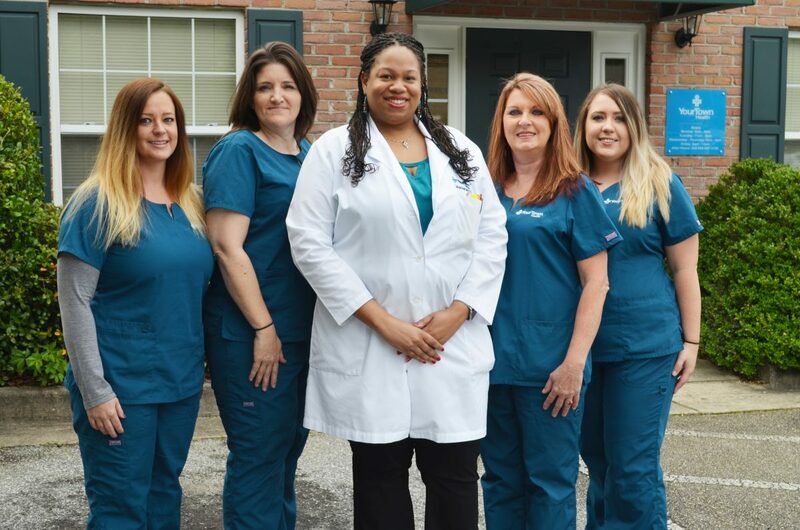 YourTown Health community health center was founded in 1978 by a group of Palmetto residents who were tired of living in a town without a doctor. The first physician, Dr. Virginia Floyd, used to drive around town in a yellow VW and visit the people named on the sick list in local church bulletins. “When I think about YourTown Health’s humble beginnings and how much we’ve grown… We started with one small family practice in a renovated church in Palmetto and have become an organization that provides a whole array of health services in six locations, including prenatal care, primary care, gynecology, in-house and mail-order pharmacy, dental care, behavioral health – all regardless of a person’s ability to pay,” said CEO Jon Wollenzien. “Plus, thanks to our great staff, all of our offices have received NCQA (National Committee for Quality Assurance) accreditation as Level 3 Patient Centered Medical Homes (PCMH), the highest standard of care from the most comprehensive evaluation in the healthcare industry,” he added. YourTown Health is the only healthcare provider that has been in South Fulton County for 40 years, helping hundreds of thousands of people. In the last year alone, the clinics received 39,000 visits. August 12-18 has been designated as National Health Center Week 2018. YourTown Health is part of this nationwide network of community health centers that make access to good care a reality for more than 27 million Americans. Health centers reduce unnecessary visits to the emergency room and lower the cost of children’s primary care by approximately 35%. To learn more about National Health Center Week, please visit www.healthcenterweek.org or join the conversation on Twitter using #NHCW18.